Gauge In stitch pattern with Tunisian hook, 12 sts for 12 rows measures approximately 4″. I love square afghans, but sometimes I don’t want something that I have to seam together later. 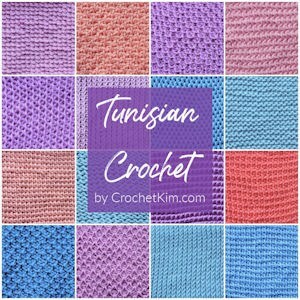 So, keeping with my tradition of “square illusion” afghans, I have designed the Tunisian crochet afghan using a combination of stitches made specifically to remove that curling so often associated with Tunisian crochet! 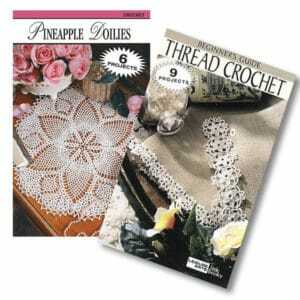 You will find that each square is worked in Intarsia method. This will require that you make bobbins or separate balls of yarn. Do not carry the strands across the back or work over the unused colors. If you prefer not to work in Intarsia or, if you prefer to use a shorter hook, feel free to work the afghan in strips for joining later. When changing colors, simply drop the old color to the back and pick up the new color. When changing colors in part A of each row, you can twist the yarns to lock them in place, if you like. 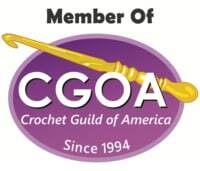 I have never found it necessary since there is a chain lifeline through Tunisian crochet. It’s necessary in knitting since there are only loops across, but I have never used it in Tunisian. Feel free to use the twisting method, if you like. I stitched up this afghan over 12 years ago. It was long ago gifted away so I don’t have it available for better photography. Back in 2002, I didn’t have a very good camera so this is the best I have for now. 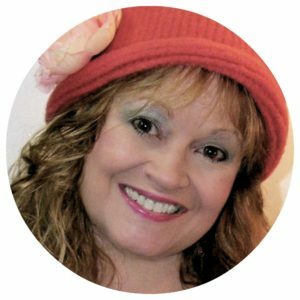 I am hoping to either find the time to restitch it later or perhaps one of you wonderful website visitors will be able to restitch it and email a pretty photo to me to use here. B: With A, ch 1, [yo, pull through 2 lps on hook] 14 times, with B, [yo, pull through 2 lps on hook] 14 times, with A, [yo, pull through 2 lps on hook] 14 times, with D, [yo, pull through 2 lps on hook] 18 times, with A, [yo, pull through 2 lps on hook] 14 times, with C, [yo, pull through 2 lps on hook] 14 times, with A, [yo, pull through 2 lps on hook] 14 times, with B, [yo, pull through 2 lps on hook] 14 times, with A, [yo, pull through 2 lps on hook] 15 times: 1 lp remaining on hook. 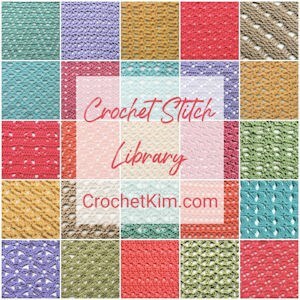 A: Working in stitch pattern of repeat of [1 tks, 1 trs] across, sk first vertical bar, pick up 14 lps of each color in the following order: A, B, A, C, A, D, A, B, A, with A, tks in last st: 128 lps on hook. B: With A only, ch 1, [yo, pull through 2 lps on hook] across: 1 lp remaining on hook. A: With A only, sk first vertical bar, [1 trs, 1 tks] to last st, tks in last st: 128 lps on hook. B: With A, ch 1, [yo, pull through 2 lps on hook] 14 times, with B, [yo, pull through 2 lps on hook] 14 times, with A, [yo, pull through 2 lps on hook] 14 times, with D, [yo, pull through 2 lps on hook] 14 times, with A, [yo, pull through 2 lps on hook] 14 times, with C, [yo, pull through 2 lps on hook] 14 times, with A, [yo, pull through 2 lps on hook] 14 times, with B, [yo, pull through 2 lps on hook] 14 times, with A, [yo, pull through 2 lps on hook] 15 times: 1 lp remaining on hook. Rows 3-12: Rep rows 1-2. B: With D, ch 1, [yo, pull through 2 lps on hook] 14 times, with A, [yo, pull through 2 lps on hook] 14 times, with C, [yo, pull through 2 lps on hook] 14 times, with A, [yo, pull through 2 lps on hook] 14 times, with B, [yo, pull through 2 lps on hook] 14 times, with A, [yo, pull through 2 lps on hook] 14 times, with D, [yo, pull through 2 lps on hook] 14 times, with A, [yo, pull through 2 lps on hook] 14 times, with C, [yo, pull through 2 lps on hook] 15 times: 1 lp remaining on hook. 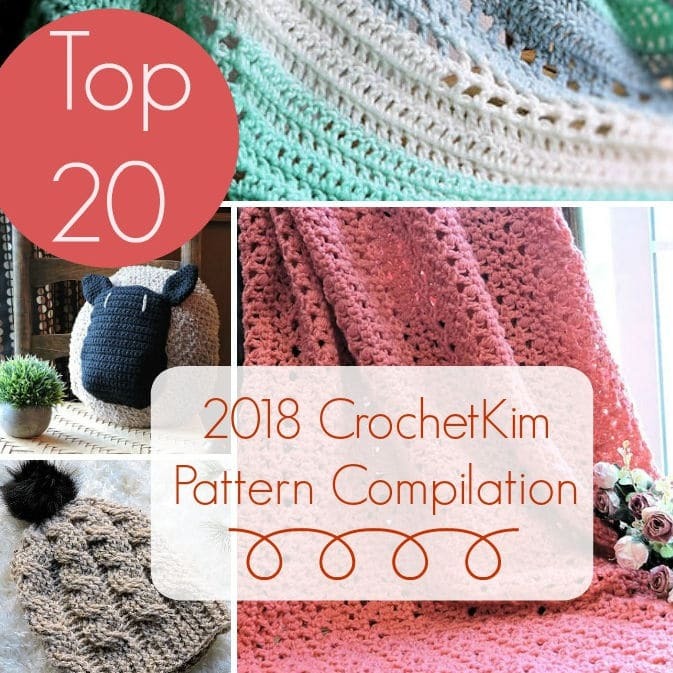 A: Working in stitch pattern of repeat of [1 tks, 1 trs] across, sk first vertical bar, pick up 14 lps of each color in the following order: C, A, D, A, B, A, C, A, D, with D, tks in last st: 128 lps on hook. Rows 16-25: Rep rows 14-15. Row 26: Rep row 14. Row 27-156: Rep rows 1-26. 157-169: Rep rows 1-13. Fasten off all colors except A. Trim: With regular crochet hook and A, ch 1, 3 sc in same st, work sc evenly along all side edges with 3 sc in each remaining corner, sl st to first sc, fasten off A.
Finishing: With yarn needle, weave in ends securely.